Soho Baths & Settlement House, Fifth Ave.
Phipps Public Baths & Gymnasium, North Side. With a positive recommendation from the City's Historic Review Commission yesterday, the Oliver Bath House nomination now heads to the Planning Commission for consideration. While it's the only remaining bath house in Pittsburgh still serving its original function, it was one of more than a half dozen public baths throughout the City. And each served the workers from nearly every industry, every day. Public Bath House, Hill District. These bath houses incorporated different functions and services to the communities but they all had baths and showers that were either free to the public or accessible for a nominal fee. In an era when plumbing was not a staple in every home (and baths even rarer) these spaces provided an opportunity for men and woman alike to not only clean themselves but also do household laundry. The driving force behind their creation was to help improve sanitary conditions throughout the City and the lives of the workers. Several noted philanthropists (like Oliver and Phipps) as well as the Allegheny Civic Club greatly advanced the cause. In 1897 the first of these bath houses was constructed by Mary Sibbet Copley in memory of her deceased husband, William Thaw at 16th & Penn Ave. in the Strip District (now demolished). 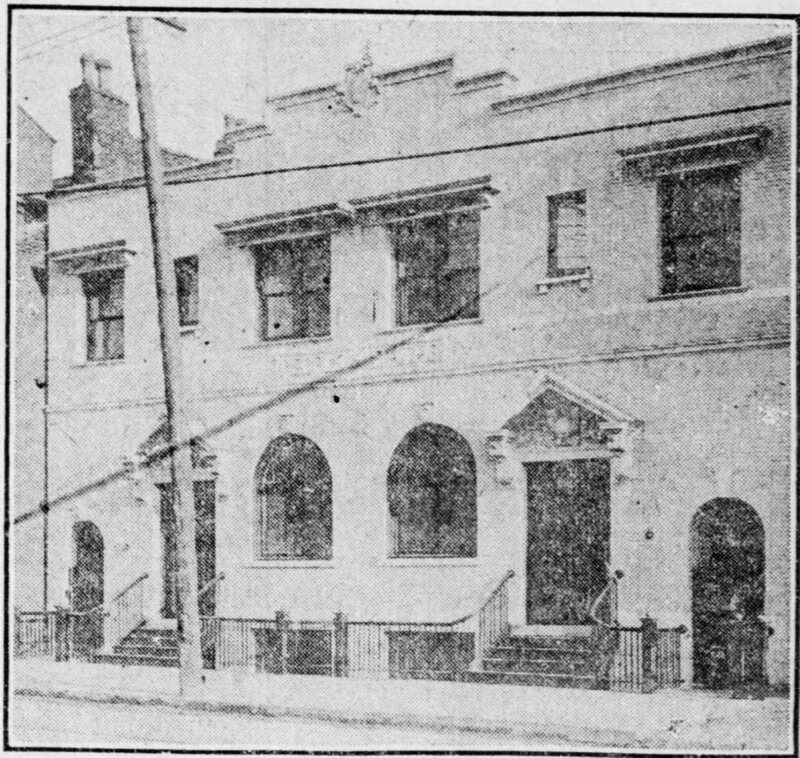 It was so popular that the Civic Club (who took over operational management) soon made plans for a new bath house at 20th & Penn Ave. (featured on right). The Civic Club also paid for the creation of one of the most monumental bath houses in the City, the Soho Baths & Settlement House (featured at top). Public Bath House and Wash Association, Lawrenceville. As plumbing became more ubiquitous and social mores changed, the bath houses began to loose their relevancy and popularity. Several of Pittsburgh's bath houses were lost to urban re-development and highways in the 1960s. Pittsburgh's only bath house for African-Americans was demolished with the majority of the lower Hill and the Phipps Baths were similarly lost to the failed urban renewal scheme that destroyed much of the North Side's historic fabric. Despite this, we're fortunately to have many still with us today. The Public Bath House and Wash Association in Lawrenceville has been converted to office space, the People's Bath in the Strip is now a Thai restaurant and general merchandise outlet, and Soho Baths in Soho is owned by Allegheny County and provides support services for offenders. They're all important parts of our history and we're working to see if they too can be landmarked. And, of course, thanks to efforts of the Department of CitiParks and the City of Pittsburgh, 102 years later the Oliver Bath House is still... a bath house. "Waiting for their Turn at the People's Baths"